#LittleLoves – The first time in forever. 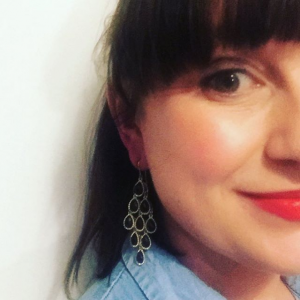 I’ve been intending to join in with Morgana’s #LittleLoves since the beginning of the new year, but here we are, at the last of the month and this is my first chance. It’s been a bit of a whirlwind, lots of new responsibilities, meetings and of course rewrites and revisions. All I seem to do is tell you how I’m rewriting my stories, but it’s worth it, I promise! 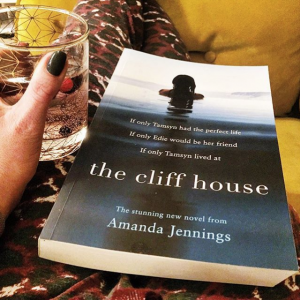 I’ve been lucky enough to have been sent a copy of Amanda Jenning’s latest novel The Cliff House which is out later this year. I have stalked followed Amanda since she was making final edits on her first novel Sworn Secret and not only does she have an amazing way with words, but I also think she is one of the nicest people I’ve had the privilege to have met via Twitter. I’ve only just started but can already tell I’m going to be absorbed in it over the weekend. Have you seen The Good Place yet? Shirtballs, how motherforking good is it? My only problem is that I HAVE TO WAIT FOR A NEW EPISODE EACH WEEK! Are you forking kidding me? If not, go check it out on Netflix. It’s so nice to have a lighter box set to watch, especially after watching The Sinner (also on Netflix) I need something a little bit easier to watch before bed! Headphones in, head down, I am trying VERY HARD not to get sucked into Netflix when I’m writing, because once I start, I struggle to stop binging. So this week I’ve been going back to the 90s and properly loving it. Last year I fell out of love with cooking, and it wasn’t until we moved into our new house (YES in case you missed it over on Instagram we moved!) that I was reminded of that feeling of peace cooking gives me at the end of a busy day. 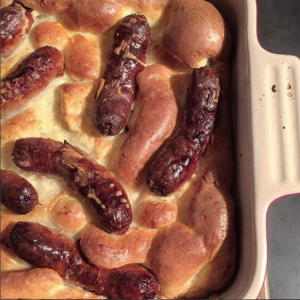 On Sunday football was cancelled and so I was very happy to potter in the kitchen making this bad boy which is the ultimate snowy day comfort food! I’m a little behind on the laundry (A LOT) so have been digging to the bottom of my wardrobe (yes bottom, I need to sort that out it’s a mess now) and pulling out clothes I ususally put back because they’re out of my comfort zone. I’ve been sharing them over on my instagram stories if you’re interested. I’m so excited to welcome some lovely writers back on my site next week for #WriteThinking. One of my favourite things about the writing community is how different we all are on everything from how we approach a new idea, to the writing process, to what to do with the finished piece, and #WriteThinking gives me a chance to have a nosy. It will be live next week and I can’t wait. In the meantime, please check out some of the older posts. I think it’s safe to say, I’m not the only person who’s found 2017 a bit of a whirlwind. Personally it’s been a massive learning curve, one that I’ve enjoyed. YES I may have had a tantrum or two, I may have been filled with self doubt and considered packing it all in and becoming a driver for Domino’s Pizza…but as my husband pointed out, I would be fired for pulling up and stuffing my first delivery into my gob. Hmph. I’ve redrafted and tweaked, and revised my novel for over a year now, and as I approach the stage where I send it back to my agent with everything crossed, I can’t believe the progress I’ve made. It’s a totally different, but (hopefully) improved book, and for once I feel quite proud of what I’ve achieved. But saying that, I still feel that I’m missing something when it comes to writing, and after a bit of soul searching I realised I missed updating my blog. I was quite surprised when I discovered this, I mean, how can I miss writing about writing, when in real life, when people ask about it, I get all flustered and embarrassed and feel like a fraud? 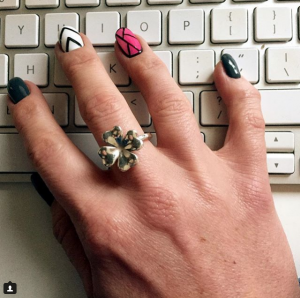 How can I miss updating you on my #littleloves when I always tell people how boring and dull I am? Who knows? But I do, so I’m going to make an effort to keep you up-to-date with things…whether you like it or not! The other thing I realised this year, is how much I love being part of the writing community. Authors are a very supportive bunch, and there was a wonderful thread about empowering women writers started by @myfanwycollins a couple of weeks ago which you can read here …. 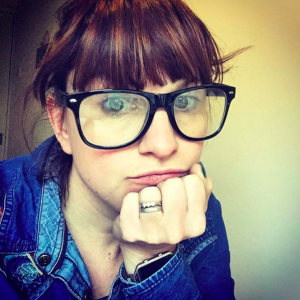 It made me realise how happy my old #writethinking section on the blog made me. A place for writers at all stages in their careers to write a post and share their thoughts… Which is why I’ve decided to revive it. There are some very exciting new posts coming in the new year, but in the mean time you can check out some older posts here, and if you’re interested in joining in just get in touch. And with that, now it’s dark outside, I am going to pour myself a sneaky gin and snuggle down with my book.